How to use Docker with Magento? Today we will talk about Docker, obviously applied to Magento but you can adapt this tutorial to any area. It all started for me there a few months ago, after watching a lecture on testing PHP and specifically tests for continuous integration. 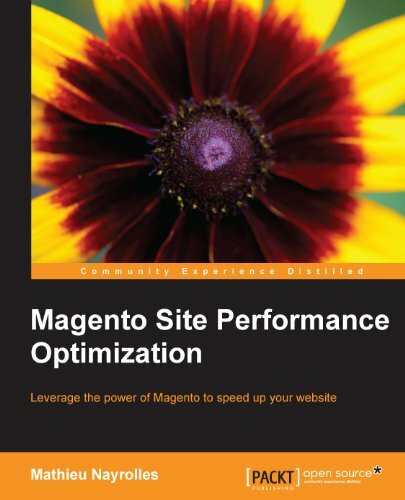 I began to wonder how I could incorporate the latest tech Magento to ensure more quality on the e-commerce project teams and how to be more effective? And one morning, I get a message that Thomas said "Hi Peter, I say we set up an offer of accommodation and I will like you to work with us on how it could be integrated with magento properly," okay then I know no more than that but we have to is a time to talk. A few weeks later, I met Jacques was a drink and also tells me about Docker and Vagrant, I said "fuzzy ca Cool would be little that I put myself as" ... From return to Lille, I see Thomas one evening and it shows me Docker .... so I took time to study the solution and test it with magento since this summer. I admit I was a bit lazy, write this article, do the tests etc ... took much time and thought to do more, but when to get out the article here is a first draft. Know that since I finished my tests, I used Docker in my work every day and although I must admit that at first I had a little trouble making it work now that I have I usually find it really handy. I think you will like it. This is quite large and not necessarily easy to read, bear with me I am not a system administrator to the base so sorry if I do not explain everything ultra clear. I urge you to try to create your own containers and make me your feedback, it intéresserai me a lot to know what you thought. This first article will familiarize you with Docker and understand how the setting up home with magento. This is certainly one of the one I spent the most time on this blog. I'll try to make it simple and to the point, I hope you enjoy it. First docker is a platform for developers and administrators that allows you to create a "container", a kind of virtual machine that contains application and all its dependencies. You can send this "container" freely to someone who can run it on his machine. Short for simplicity, a docker container is like a virtual machine "light". This is a virtual machine that contains only what is needed to run your application. We "magento developers," what does that bring us? Thanks to these containers, you have a server architecture with your varnish cache, repeat, search under ElasticSearch and your magento container that works perfectly together. A new developer should arrive on the project? He loses 1/2 day to install the environment on his machine and if it should change project? with the ports of changes repeat etc ... it's a mess. With Docker, you transmit your containers, it launches ... it's over! 5min are sufficient. But that's not all, imagine that instead of transmitting your container to a colleague, you will pass on directly to a host ... finished the problems of "it does not work", it has been tested locally, containers work together. Each work, the host manages memory, storage, security, for its part, is transparent to you, you manage your container ... that's it. Install Docker and how does it work? Then we must understand how it works. A container will be built ( "build") then from that built this object will be called an "image", we will be able to create instances by starting them with the command "run". In our project, we will have a "Mysql" container will be our database server and a container "magento" which will turn our magento (with apache.php). The container "magento" will connect to the container "MySQL" on which he will have his database.
. It also creates a container "Mysql" ubuntu that contain "mysql-server", besides we'll start with this one because after magento use it. The DockerFile is the file in which you describe the installation of your machine, install programs, creation of storage volumes, file transfer from your pc, port openings of the machine .. This tests if the file / var / lib / mysql / libdata1 exist. This is the storage file of the database. We will then launch If there is not, we will create and we will create a user "pfay" with the password "pfay123." It ends in view the latest entries mysql logs. You have to create the image of my machine to then use it to create the instance. Executed in the folder where is the Dockerfile, the script will take Dockerfile file and create the image "pfay / mysql". After the build, the image is on your PC, you can start a container from the image. You might as well throw these commands manually but I find it more convenient. - He stops and removes the "mysql" instance if it exists. previously. - It states that the container port 3306 is "plugged" on port 3306 from my machine. - It also states that the / var / lib / mysql the container will be "connected" with the / data / mysql my machine. 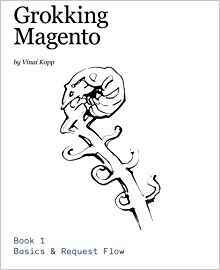 How to put up with Magento? Now to Magento container. For this is the same principle (and always will be for your container stevedore) was a Dockerfile file, you make a build to create the image. From the image, an instance is launched. - It is based on an ubuntu distribution. magento. - Optional: We install mysql-client to test the db command line from the container. - Optional: It installs vim for editing a file easily when you connect the container.
. 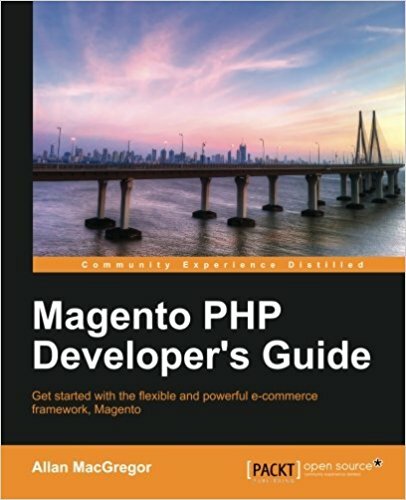 The config_magento.sh file contains the script that installs magento, the variables we defined it to connect to the database and all necessary information to complete the installation of Magento. The ip of database server is contained in the variable $ MYSQL_PORT_3306_TCP_ADDR which is automatically created at the launch of the container. - "-p" That can map port 80 of my container with port 80 my pc.
. That if you start the script run-server.sh your magento container then your vm file is launched and it is connected with your mysql container. Ok, you may say, it's great, I have a magento that will work perfectly for a demo but often I'll use it on an existing project, I will not start from scratch and you are right! You must then create a database on your mysql container, by connecting via mysql-client from your PC, for example, and then import a database. The Dockerfile will be different because more matter of using config_magento.sh to our development machine, we will rather share the magento directory containing our code in a volume that will ride on our container. Of course it must be adapted to your needs. You can connect via nsenter on your container, it allows you to connect "as ssh" to eg re-index magento. And after what can we do? This tutorial is the first of docker, in the next tutorial we will see how little docker be used to deploy a easily with a specialized server hosting and we will try to answer all the questions you might ask about this article. Thank you all for reading this article until the end, pending further, feel free to do your own tests and to share your feelings on docker below in the comments on this article, I will be pleased to discuss with you, do not hesitate to ask your questions, depending on your questions I will try to complete this article to be as complete as possible. You also support this blog by sharing this article on twitter. If you liked this article, follow me on twitter or facebook page of the blog.